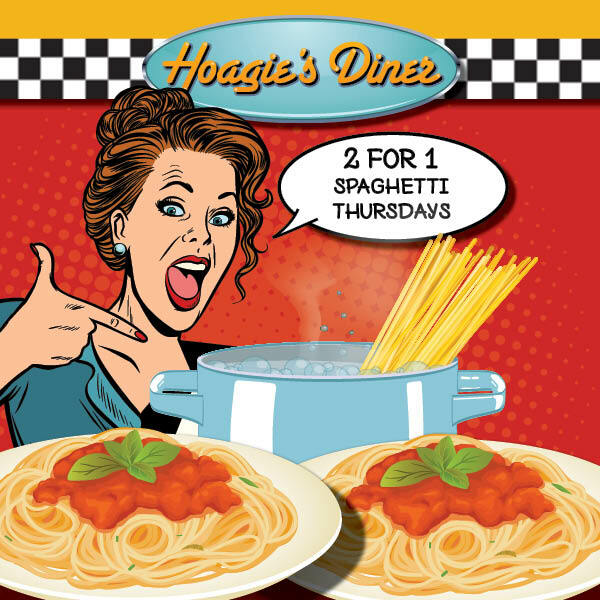 EVERY THURSDAY, 2 FOR 1 Spaghetti from 4-8 pm! Bring a date, a friend, your moms, or just eat ‘em both yourself! Try Our Famous Homemade Meat Sauce!!! 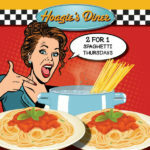 Good Old Fashioned Comfort Food, Retro Style, Retro Value!
? ?ALL YOU CAN EAT FRENCH TOAST?? Available Every Day and Only for $9.99! 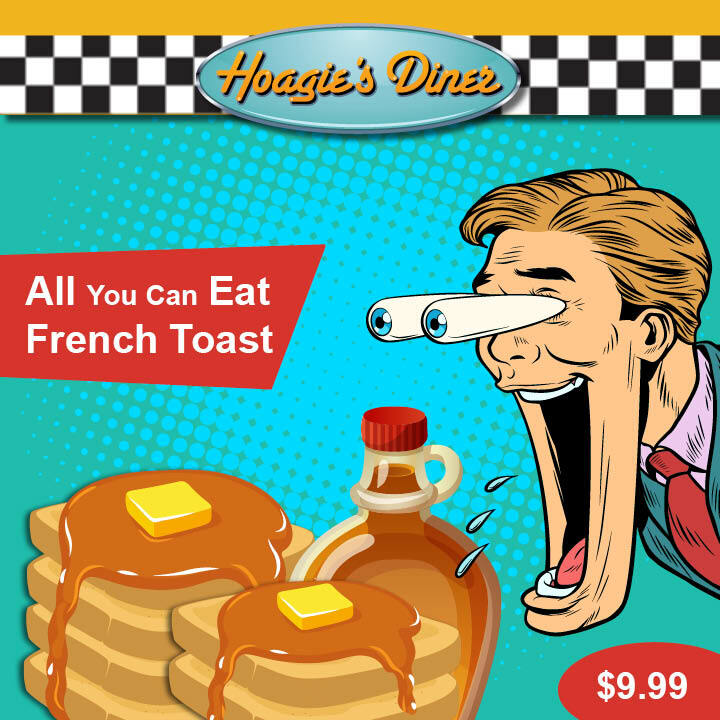 Nothing Hits The Spot Like French Toast…Now You Can Have As Much As Humanly Possible For One Low Price Come Stop In To Hoagies Diner Today and Have Our Delicious French Toast In Unlimited Quantity.